Well, hell. It’s over. I mean, I knew it was coming… But I didn’t know today would be the day. I sigh and set my phone down on the kitchen table. Drain my wine glass. A strong cold wind rattles the windows, matching my sombering mood. Maybe one more glass tonight, as a nightcap. As a yearcap. Well, a nearly twoyearcap. 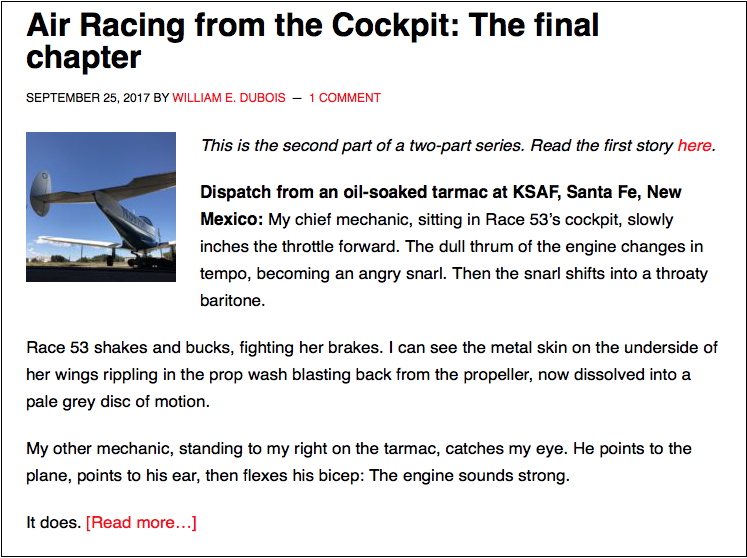 Yes, the final chapter of Air Racing From the Cockpit debuted online tonight at General Aviation News. I was checking the website on my phone because the battery on my FlightPad was low. Of course, that final chapter won’t appear in the print version until the October 5th issue, but the end of the journey is official, and damn, am I ever going to miss it. 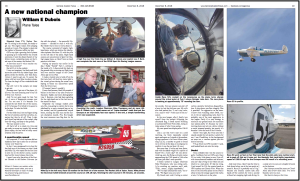 It’s been an extraordinary series for me—as a pilot, as a writer, as a person. 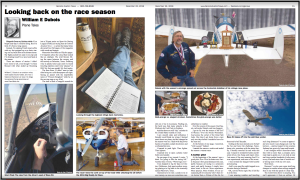 Starting off as an assignment to write a few articles about what it’s like to join the Sport Air Racing League (SARL), for both the magazine and the website, Air Racing From the Cockpit blossomed into a mind-boggling 34-part series that dominated huge chunks of the publication, sometimes spreading over four full pages, my words illustrated by the work of my amazing photographer pal Lisa. The series was actually scheduled to run even longer, following all the races this year, which would have brought the total up to 40 installments, but my on-going engine problems cut that short. Actually, I’m the one who made the call to wrap up early. 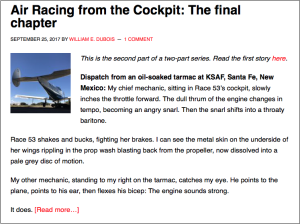 Sure, mechanical troubles are part of the story of airplanes, but I knew my readers were more interested in racing than wrenching. Fans of Air Racing From the Cockpit would quickly tire of Air Racing From the Maintenance Shop, so I felt a duty to end the series well. Still, a 34-part series? Who the hell gets to write a 34-part series? I’m still pinching myself. The entire body of work totals up to something like 60,000 words. That’s book length. About the same number of words that a typical novel has. So what about that? Will I turn it into a book? No, I don’t think so. First off, that’s cheating. At least that’s how I feel about it. I hate it when a writer dusts off a bunch of old stuff, stitches it together, and calls it a book. Books need to be crafted as a single cohesive unit. I guess, since this is really one long story, it would read better than a book full of Dear Abby columns, but it still doesn’t seem right to me. It wouldn’t be an honest labor for a wordsmith. Plus, from a practical standpoint, why would anyone buy something they could read online for free? All the dispatches are right here, all you have to do is scroll back in time a few pages to get to the beginning. Of course, there are a book-full of events, encounters, excursions, and escapades that happened between the pages of Air Racing from the Cockpit that didn’t make it into print. That’s a book I am considering. Writing the story of the story, as it were, using the Races as a scaffolding on which to hang a whole new work. Meanwhile, it’s not like GA News has kicked me to the curb. 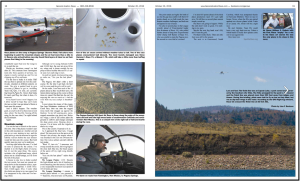 I’ve got some Reno coverage coming up and I’ll be writing about the season finale of the Red Bull Air Races. Plus, I’ve got an article that compares air racing to poker. Just wait and see. But I’ll miss “my” series. I had the time of my life writing it, and I hope you enjoyed reading it. But it’s time to move on. All good things (and times) come to an end. What’s ahead? I hate visiting people in hospitals. I know it’s important, but I just don’t like doing it. I don’t like the lay out of the buildings, the quality of the lighting, the smells, the staff… Anything about the environment. It’s also such a bummer seeing someone you are fond of in such helpless circumstances. On the other hand, I don’t mind visiting my mechanics to check on the progress of our airplane during one of her all-too-frequent maintenance events, which is much like visiting someone in a hospital. The difference, of course, is that the airplane goes dramatically down hill at first, looking sicker each time you see it as various systems and subsystems are disassembled and worked on, while people in hospitals tend to move in the other direction. But still, there’s a lot to be said for visiting a “sick” airplane. 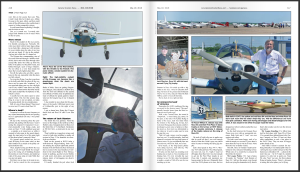 For one thing, it’s a cheap way to get an aviation fix. And of course, it’s fun talking shop with the “boys,” and seeing the other interesting airplanes in the hangar being worked on, an ever-changing constellation of winged machines. But mostly, it’s highly educational. 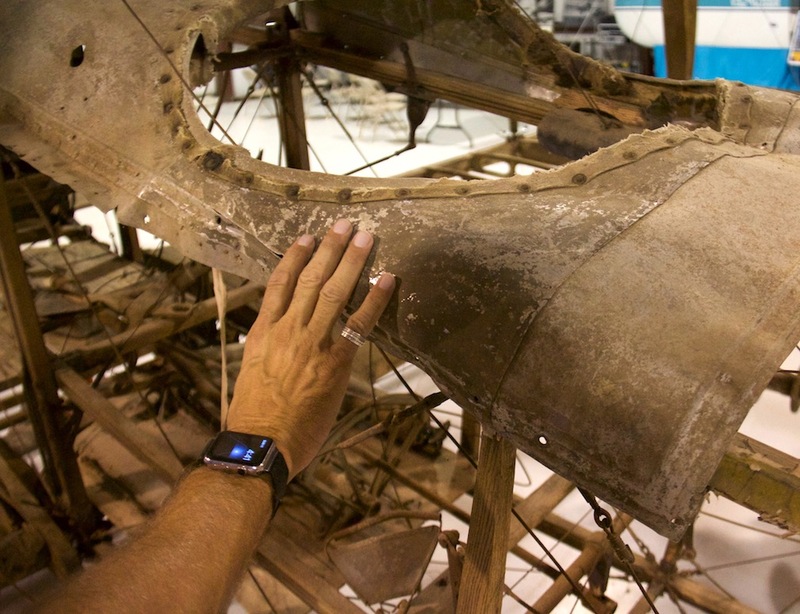 Especially this year, with one wing off, one gas tank removed, and most of Tessie’s interior gutted, I was really able to see and understand the architecture of our plane like never before. I understand where the main spar is, and how it works. I can trace the various control linkages, rods, and cables. I understand how the wings are attached, how the trim cable routes. I go and visit each week, partly in the hope of seeing dramatic improvements (this never happens), partly to keep a fire lit under my mechanics, but mostly because I’m curious. I like to see what’s happening and to learn more about the nuts and bolts of the flying machine that I entrust my life to. I think the better I understand how everything should work, both from a mechanical and from a design perspective, then the better equipped I’ll be to recognize a problem, should it develop, and to be able to do the right thing to overcome it. So rather than hate it, it’s actually a type of hospital visit that I look forward to. And I never have take Tess flowers. Last time, on Plane Tales, I told you about a Curtiss Jenny that I’ve been seeing on the side for many years. A plane always—literally—just out of my reach. Today I want to tell you about another Jenny. One I was actually able to touch. But first a word from our sponsor, the History Channel. Oh. Wait. We don’t have a sponsor here at Plane Tales, much less the History Channel. Oh well, here we go with the Cliff Notes history of the Curtiss Jenny, totally on the house. The Jenny, technically the Curtiss JN-4 (the lettering on the planes used a kindergarten open-topped 4 that resembled a “y,” hence the origin of the nickname), was the primary training aircraft for US Army Air Corps prior to, and during, World War I. Did you know we went to war with only 35 military pilots? 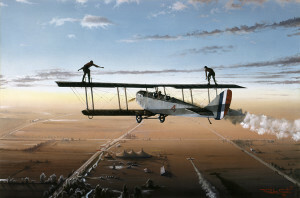 By the armistice, less than two years years after we entered the fray, that number had swelled to over 10,000—and ninety-five percent of those pilots trained in Jennies. While that’s a remarkable feat, I think it was the second chapter of Jenny’s life that made us all fall in love with her. And for that, ironically, we also have the war to thank. During World War I, the U.S. government spent more time building up troop strength in both men and materials than it did actually fighting—not to diss the sacrifice of my grandfather and thousands of other fighting men who saw ten lifetimes worth of combat. Still, in this short time more than six thousand Jenny trainers were built. But as soon as the war ended, the government pulled the plug on the military build up, and that growth came to a screeching halt. Then it reversed as the military was rapidly downsized. 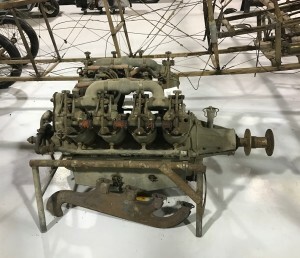 In the years following the war, the civilian airplane market was flooded with military surplus Jennies as the government sold off unneeded assets. So many more planes were built than needed, that some of the surplus Jennies were still unassembled in their shipping crates when they were sold. While common aviation lore has it that a brand-spanking-new Jenny with a spare engine could be had for as little as $250 right after the war, that’s a myth, although most of them sold for half the eight-grand each that the government paid for them a short time before. Hell raising unemployed ex-army pilots. Yeah. 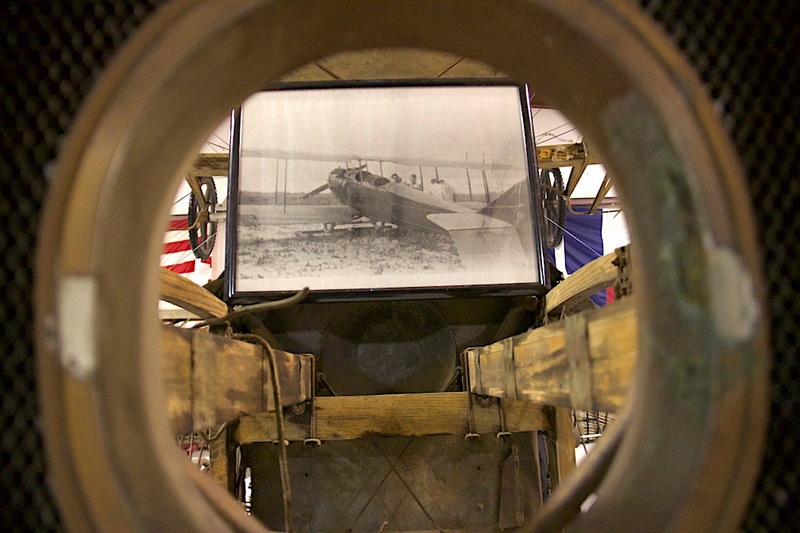 The era of the barnstormer was born from military surplus. 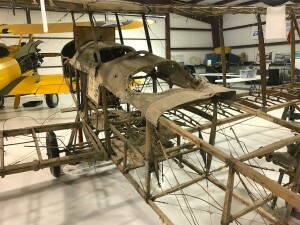 Now the plane that taught most pilots to fly became the first airplane most Americans got to see in the flesh, as small bands of gypsy pilots roamed the heartland selling rides and preforming stunts. Image by Suchiu Art, I’ve already ordered a copy for my office wall! But as aviation grew up, the government lost its tolerance for this wild west of the air. The powers that be wanted to make aviation respectable, and the hell raisers with their wing walking and loop the loops were in the way. They had to go, as far as the government was concerned, and to get rid of them, the bureaucrats broke out their usual weapon: Paper. Simply put, the government regulated the barnstormers clean out of business in 1927 with new pilot license, maintenance, and airworthiness requirements. The Jennies weren’t able to meet the new airworthiness guidelines, and by 1930 it was illegal to fly one in most parts of the United States. In fact, the Aeronautics Branch of the Department of Commerce sent letters to Jenny owners demanding that they be destroyed. Most were. It started with an invitation. Lupita Wisener, who races with me in SARL, pulled me aside at the Mark Hardin Air Race. 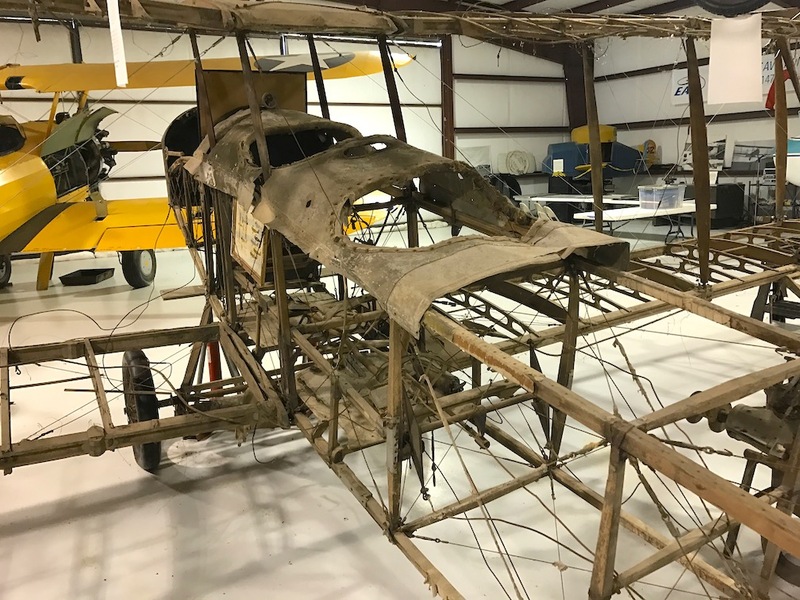 The public-use, privately owned airport that her husband’s family has run for generations was about to mark an important milestone: The 100th Anniversary of the first airplane to land there, which was a Curtiss Jenny. Would I like to visit? It might be an interesting article, she hinted. She was right. It did sound like an interesting article. She told me a bit more about the strip, 3F9, Wisener Field in tiny Mineola, Texas, a mere 45 miles on east of where we were standing. They had a concrete strip, a grass strip, an historic airmail beacon, a museum, and by the way, we have an authentic barnstorming Jenny. 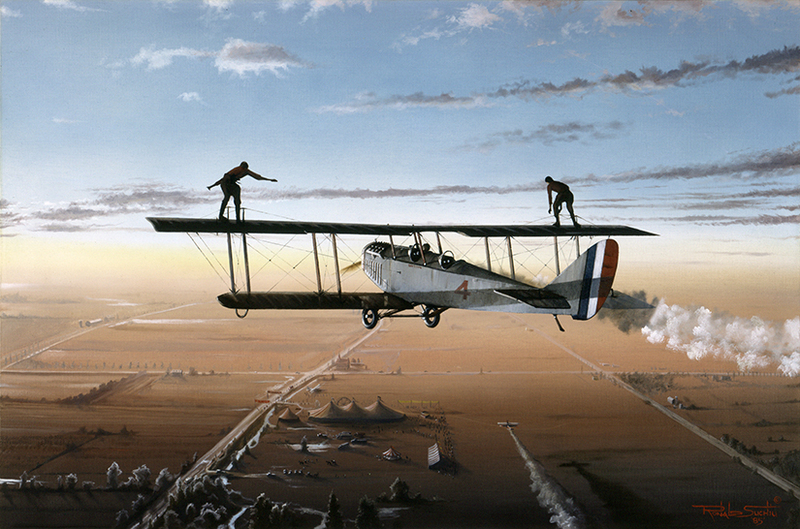 It flew in the family’s Royal Flying Circus that brothers Henry and Bryce Wisener formed in 1926. I pictured “my” Jenny, hanging just out of reach above me at Denver International. Even though it was only a hop and a skip in Tessie, we just didn’t have the time to fly over after the race. We had to get back home. Some sort of silly work commitments were getting in the way of just Plane Fun. But looking at a planning chart later, I decided that a reasonable detour could be made to pay a visit on our way back home from the Big Muddy Air Race. 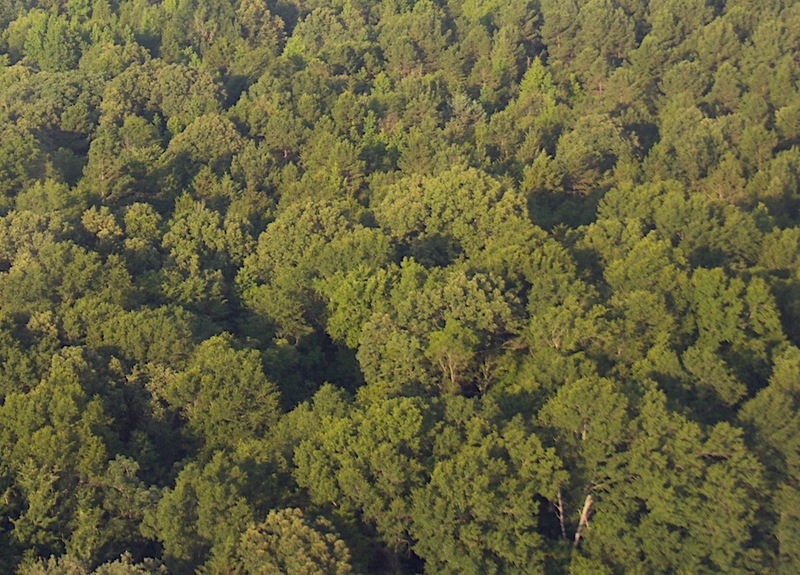 “Let’s put the top down,” I said to Lisa, as we skimmed above the trees at 500 feet, looking for the airport. According to our GPS, we should be right on top of it, but all we could see was an unbroken expanse of tall deep green trees. For some reason, I’d pictured Wisener Field on open, wind swept prairie. “Ah,” crackled Lisa’s voice in my headset, and she gamely slid her side down. Right on top of the airport I spot it. A painfully narrow (and short to my high-altitude eye) ribbon of black centered in a slender slit in the trees. Ya gotta be kidding me… We bank left, enter the pattern a bit lower than suggested and start to descend. It makes me a little week in the knees. I’m not sure my engine has the strength. To my left is a lovely gap in the towering thicket of green. I drop towards it, down into it, but now I’m at a forty-five degree angle to the runway. It’s rare that I wish for rudder pedals, but this is one approach I really would have liked to slide-slip into. I make the best of it, dropping down towards the anorexic runway 18L, but I’m high and fast. I know a lost cause when I see one. I push the throttle forward and initiate a go-around. I use the same tactic, an angled final approach, but this time I’m slower and we settle onto the runway without amassing tree leaves in our landing gear. I feel like I’m in a canyon of green. 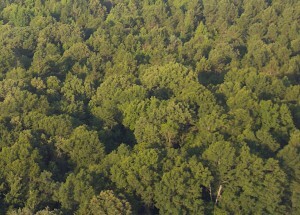 But when we taxi to a stop, get out, and stand on the wing, the trees look harmless. Shorter from the ground than they looked from the air. Clearly, I don’t have barnstormer balls. While Lupita takes Lisa and I on a leisurely guided tour of the grounds, I’m secretly chomping at the bit to see the 100-year-old airplane. Before I meet the Wisener Jenny, I get to learn a little more about her. Apparently, the two Wisener brothers dearly loved the old Jenny, but they understood her time was passing when they got the letter from the government. Plus, they already had newer airplanes that could meet the airworthiness mandates, and they must have known this was not a battle they could win. They responded to the letter, certifying that they had destroyed the now officially un-airworthy Jenny. Then, instead, they secretly and defiantly took her apart piece by piece, and stored her in a barn-like hangar at the edge of the runway. Which is why this Jenny is one of only about thirty or so that still exist on the entire planet. But eight decades in the barn were unkind to the Wisner Jenny. Most of her fabric skin rotted away. Her metal rusted. Her wood skeleton dried and cracked. When the current generation of Wiseners decided to pull the Jenny back out of the barn they had some important decisions to make. Should they restore her or leave her authentic? Should they clean her up, or leave her as they found her? 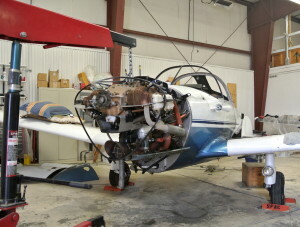 In the end, they simply put the remaining parts back together, except for the rusty, corroded engine, which they placed on the hangar floor next to the skeletal Jenny. Most of the other remaining Jennies are either fully restored, or restored enough to look like they would have looked in their heyday. Some still actually fly. At the AirVenture museum there’s a half-covered Jenny, but it has shiny, varnished spars and ribs. I doubt it looked that good the day it left the Curtiss factory. So this Jenny is sad, but she’s real. 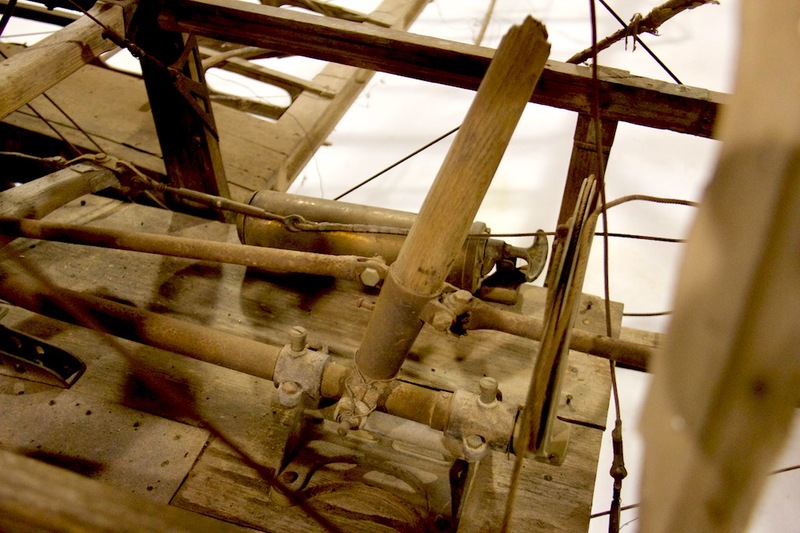 She’s a time capsule that shows the complexity of the construction, and the materials and techniques used at the dawn of the mass-production of airplanes. Sure, she’s dirty and dusty and rusty, but she’s also a holy relic, and I’m pretty sure it’s some sort of sin to clean up a holy relic. It would be like sending the Shroud of Turin out to the dry cleaners to get the stains out. A picture of the Wisner Jenny in her heyday graces the engine compartment. Photo by Lisa F. Bentson. I walked around her time and time again. Unlike most museums, it was possible to get up close and personal with this Jenny. 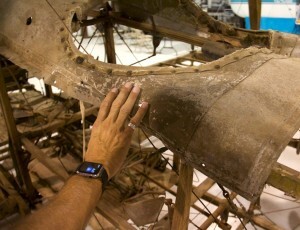 I took in the wood tailskid with its metal collar, the rudder bar, the fragmentary remains of the instrument panel. The model T Ford radiator. The dried and cracked leather around the twin cockpits, the oddly broken control stick, snapped off close to the floor. Her wheels are spoaked like a bicycle. Her fuselage is pencil-thin. Her wings are tall and wide, a maze of wire, ribs, and spars that’s dizzying. We think of Jennies as simple beasts. Instead, her complexity is mid-numbing. And, yes, once I was done taking her in with my eyes, I was able to reach out my hand and touch her. Finally, I was able to touch aviation history.